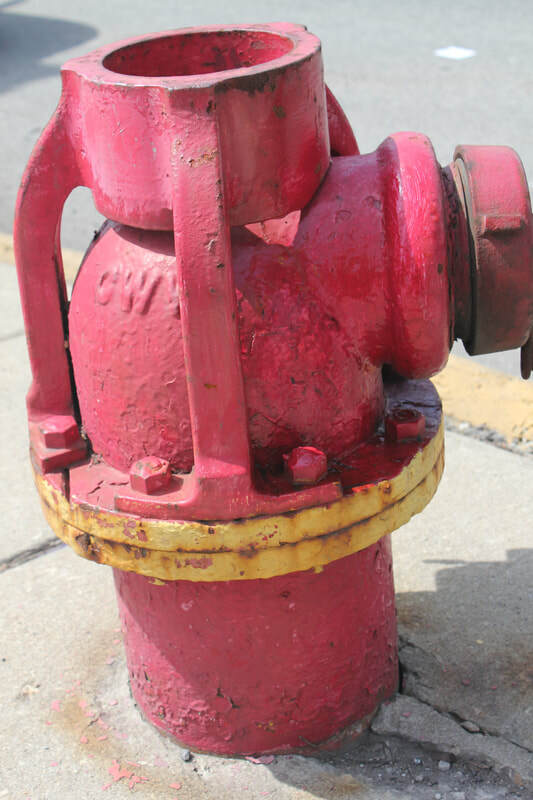 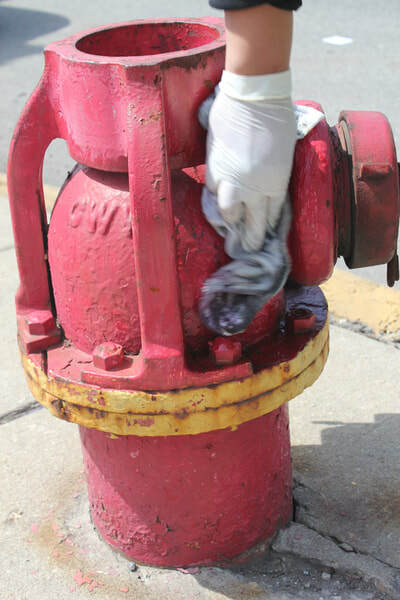 6 Simple Steps to Remove Graffiti from a Painted Metal Surfaces such as a fire hydrant. 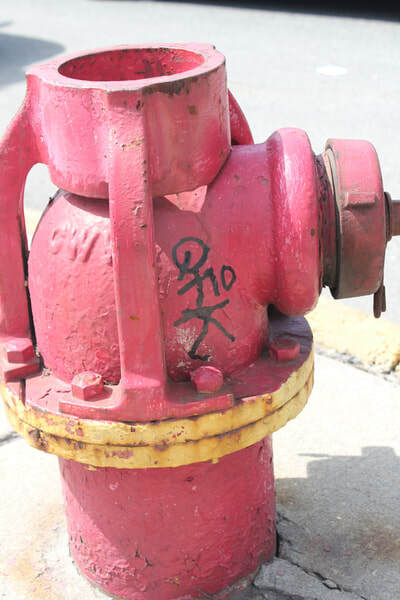 Notes: When removing graffiti from a heavily painted surface, less delicate removal is required, as the substrate is painted with multiple layers of the same color. Additionally, with elements such as the fire hydrant below, perfection is less important than speedy and complete graffiti removal. 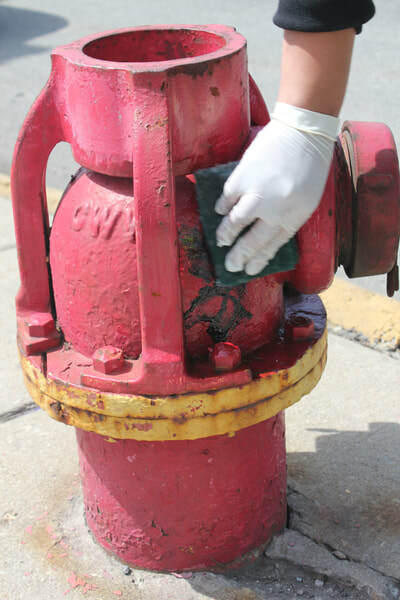 In the photos below, had a blue non-scratch scouring pad been used instead of a course green scouring pad, less of the red top coat would have been effected.